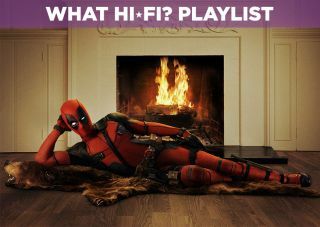 Deadpool – 4K Ultra HD Blu-ray review | What Hi-Fi? It's been well over a year since Deadpool hit cinemas, becoming a huge (and surprising) hit in the process, raking in almost $800m worldwide and outgrossing (in the US at least) Batman vs Superman: Dawn of Justice. Revisiting the film, it remains an effective adaptation of what could have been a one-note riff on superhero films. The humour is puerile, but in an odd sense, refreshingly so. This 4K Blu-ray was one of the format's earliest releases and a year on it remains a fine example of what 4K can bring to the table. Deadpool follows Ryan Reynold's Wade Wilson, the 'Merc with a mouth' who upon discovering he has terminal cancer, leaves his girlfriend Vanessa (Morena Baccarin) to undergo treatment. Cured of his cancer, he's endowed with accelerated healing (a la Wolverine), but the treatment produces some unforseen results. Wilson is left disfigured, causing him to go after the man who conducted the procedure (Ed Skrein's Ajax) for some well-deserved payback. Deadpool as a comic-book character has always had an offbeat sense of humour, regularly breaking the fouth wall, much to the chagrin of everyone he meets, and the film is faithful to that conceit. Considering previous attempts at getting the character off the ground resulted in a grossly mishandled appearance in X-Men Origins: Wolverine, the success of the solo Deadpool film deserves a round of applause for writers Rhett Reese and Paul Wernick, director Tim Miller and star Reynolds. The R-rating (15 certificate in the UK) allows the frequently potty-mouthed jokes to come to the fore. A few changes have been made but nothing to cause alarm. Deadpool isn't a product of the Weapon X program and Morena Baccarin's Vanessa isn't (yet) the version seen in the comics (a mutant by the name of Copycat). While it's not a film of huge scope or budget - half of it is told through flashbacks - it embraces the knowingly daft plotline as Wade attempts to get his face back to normal. It has plenty of well-crafted action scenes and through the Vanessa/Wade relationship, gives you characters to care about. The 4K has been out for a year, so there's already been plenty of debate as to whether this is true 4K. To recap, the majority of film was shot on the Arri Alexa XT Plus camera at 3.4K (with a few scenes in 35mm, 4K and 5K). Most of the visual effects were rendered at 2K and the film's DI (Digital Intermediate) was delivered in 4K HDR. The film's cinematographer, Ken Seng, calls it 4K and we're inclined to agree, but with a few caveats. It's certainly no up-convert from 2K that we've commonly seen in 4K releases, and the resulting image is an upgrade over the Blu-ray in most, if not all, aspects. Colours are much more solid and richer, an effect that's noticeable as soon as the Marvel insignia flickers into life, but overall, the image is darker than the HD version. The blue tint that's noticeable on Blu-ray – an aspect we thought tied the film into the mainline X-Men universe – is less so on the 4K. Shadows are deeper and better defined too. The red of the Deadpool suit is more pronounced and the detail (there's plenty of dirt, nicks and wear and tear on it) is much more apparent. In the opening freeway sequence, the clouds have more definition to them compared with the white, indistinct blobs on the standard Blu-ray. The HDR helps here (there's no Dolby Vision) as the lighting looks more naturalistic and atmospheric. Scenes tend to 'pop' more visibly than on the Blu-ray. The fire-fight between Wade and Ajax halfway through the film feels muted colour-wise in comparison to the Blu-ray. This is likely down to the HD version having to upscale to 4K on our Samsung UE65KS9500 TV and Panasonic DMP-UB900 Blu-ray player, causing a red, overly saturated image, whereas the 4K is more composed in terms of colour and contrast. The licks of the flames seem more defined and brighter too. Let's not forget Wade's disfigured face, which in 4K is impressively grotesque. The blotchy skin, gnarly scars and discolouration looks stomach-churning in some shots. Deadpool is presented in Dolby Atmos on the 4K disc and in DTS-HD 7.1 on the regular Blu-ray. Dialogue is handled through the centre channel, but thanks to the added height provide by KEF's R50 modules (5.1.2 set-up), you can sense dialogue coming from up above, for example when Ajax yells "What's my name?" When dialogue is spoken from a distance or in the background, there's a depth of field that really makes it sound as though the words are coming from afar. Elsewhere the surrounds are used for a lot of the background, environmental sounds. Whether it's the dust and embers after the disused Hellicarrier crashes, or the surrounding fire in the first Ajax/Wade fight, it's an immersive affair. The panning and positoning of effects throughout is excellent. There's satisfying heft to the bass ("Superhero landing") and the ratatatat of gunfire is particularly meaty. Punches snap, crackle and crunch their way through the film and Deadpool, with his two Katanas, produces plenty of wince-worthy sounds as he goes about his business. We also like the integration of sound effects and the score from Tom Holkenborg (aka Junkie XL). Neither steps on each other's toes, and while Holkenborg's score is not one we'd chose to listen to, there are moments where it's very effective in this mix. To our ears, it's an excellent Atmos presentation, and one that enhances our enjoyment of the film. If you're a fan of the Deadpool character and its sense of humour, then the 4K is absolutely worth getting over the standard Blu-ray. As for whether it's worth upgrading to a 4K TV and player to enjoy this film, we'd say 'yes' - this is the best version of Deadpool outside of watching it on the big screen. The detail, contrast and colour levels receive a significant uptick and, if you have the compatible equipment, Atmos adds another dimension to the film. We thoroughly enjoyed spending more time with Deadpool. To paraphase a line, this is a film we'd be happy to sit on. The 4K UHD release features the two audio commentaries (actor Ryan Reynolds and writers Rhett Reese & Paul Wernick – director Tim Miller and Deadpool co-creator Rob Liefield), while the standard Blu-ray contains the rest of the features listed below. There's also a code for a digital version of the film.